"I forgot Windows 7 password on my Mac laptop, and there is only one user account which is the administrator. How I can get into Windows? Is there any way to reset lost Windows password from the Mac side with Boot Camp Assistant? " With Boot Camp Assistant you can install Windows on your Mac computer, which allows you to dual-boot your machine between OS X and Windows. However, the files stored on your Windows OS cannot be accessed from within Mac OS. So if you forgot the admin password of the Windows system running on your Mac machine, you'll lose access to your Windows files. 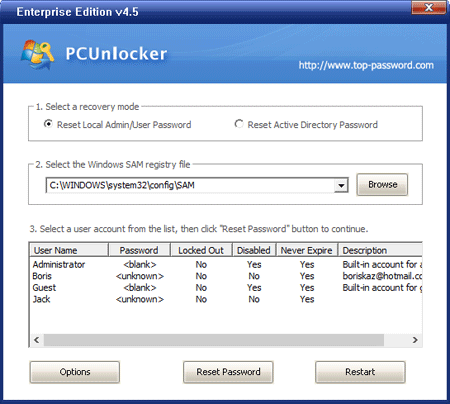 PCUnlocker is a bootable utility which can reset forgotten Windows password on any PC or Mac, which supports booting in EFI/UEFI and Legacy/CSM BIOS mode. In this tutorial we'll walk you through resetting lost admin / user passwords for Windows running on a Mac. First of all, you need to log in to your Mac OS X and make a PCUnlocker Live CD. Of course this can also done using a Windows PC. ISO2Disc is a Windows app which allows you to create a EFI/GPT bootable CD or USB drive from PCUnlocker ISO image. 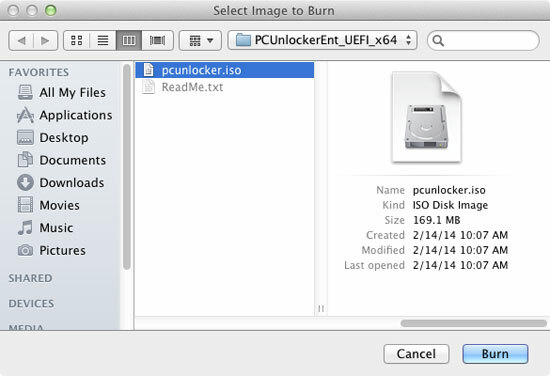 Click here to download and save the PCUnlocker program on your Mac OS X. The downloaded file is a self-extracting zip archive which contains a WinPE-based ISO image called pcunlocker.iso. Double-click on the .zip file you have downloaded, Archive Utility should appear and automatically extract your files. Once the files have been extracted, you can find the pcunlocker.iso file in a folder located in the same location as the original .zip file. Insert a blank CD into your computer's optical drive. 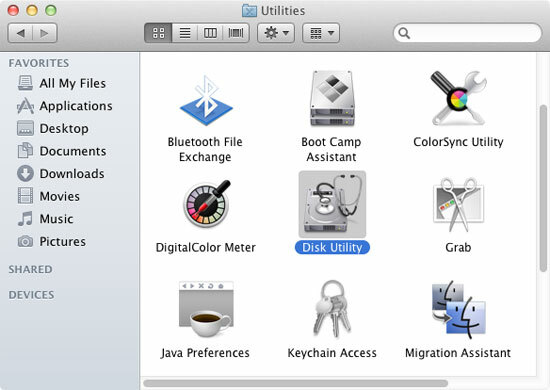 Open Finder and navigate to Applications -> Utilities and double-click Disk Utility. 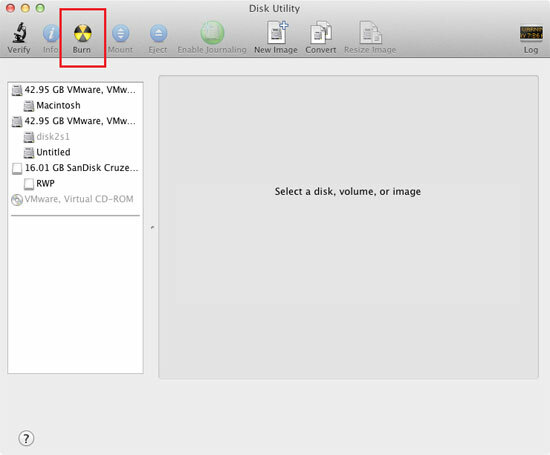 Once the Disk Utility is launched, click the Burn button at the top of Disk Utility in the toolbar. Choose the pcunlocker.iso file from the pop up window. Click on Burn and confirm your operation. Sit back and wait while your new disc gets written! Just shut down your Mac, then turn it back on. When you hear the Mac startup Chime, press and hold the "Option/Alt" key. You'll be shown all the bootable drives on your Mac, including your CD drive or USB stick. Use the keyboard arrows to choose the CD/DVD-ROM, then press the Enter key. The computer will start up from PCUnlocker Live CD. Once the WinPE operating system inside the CD is loaded into memory, the PCUnlocker application will start. It displays a list of local user accounts that are detected from your Windows SAM database. Choose your administrator account and click on Reset Password button. It will reset your forgotten Windows admin password immediately. Click Restart to reboot your Mac and remove the CD. You can then log in to your Windows administrator account without a password. Done! It's so easy to reset lost admin password for Windows running inside your Mac. If you need to reset the password for a Windows virtual machine running in VMware Fusion or Parallels on your Mac, just mount the PCUnlocker ISO image to the virtual CD drive and you can reset the password as well.